For many, it can be hard to find trucking business financing that can keep you in business. With so many trucking companies being turned down by traditional banks, it can be hard to know where to turn when you need working capital. For some owner-operators, trucking factoring, otherwise known as freight bill factoring, can help. 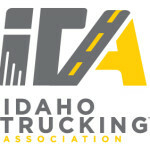 Below hear from a carrier in Idaho who hauls construction equipment and materials who has been able to stay in businesses with trucking factoring from Tetra Capital. Q: What qualities do you look for and expect in a finance partner? Q: Before partnering with Tetra Capital, as your trucking financing company, how long was it taking you to collect on your freight bills? Q: What is the biggest difference that partnering with Tetra Capital for financing has made to your business? Q: Would you recommend factoring with Tetra Capital to other transportation companies? When you need financing for your trucking business, how can trucking factoring help? Running a trucking company and being an owner-operator can be hard enough, you should not have to always worry about when you are going to get paid so you can pay for fuel and other immediate expenses. Trucking factoring with Tetra Capital is an easy way to get the financing you need and can help you stay in business. With trucking factoring, all you have to do is deliver the load, submit the paperwork to the freight bill factoring company and we will get you the funds within hours. Tetra Capital will handle all the invoicing, processing and collecting on all your receivables/loads which can be really helpful to new trucking owner-operators. We then wait to get paid by your customer. It is quick, easy and with no hidden or unexpected fees, you know what to expect from us every time. Give us a call today at (801) 676-0182 to learn how trucking factoring from Tetra Capital can help you get the funds you need to start your own trucking company. Jeremy is an expert at helping transportation companies of all sizes grow by giving them access to the working capital they need. 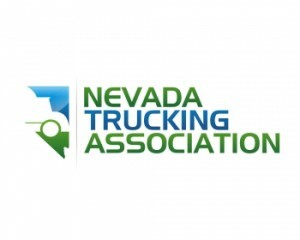 He has been involved in various roles within the transportation industry, including: freight factoring, equipment financing, equipment purchasing, lease operator program, driver manager, recruiting, payroll and equipment maintenance. These experiences have allowed Jeremy necessary insight as he has grown and directed Tetra Capital’s Transportation Factoring business.